Can I Buy Life Insurance on my Ex-Husband? How do I get Life Insurance on my Ex-Husband? In the following article we will address how to get life insurance on your ex-husband. Typically, when we’re asked the question “can I get life insurance for my ex-husband?” it’s usually because the person calling in is worried about what would happen themselves and possibly and dependent children that they are still caring for if their ex-husband passed away without any life insurance. Ideally, you are considering life insurance for a divorce decree or settlement which will cover you or your child as the primary beneficiary. Do you still receive child support from your ex-husband? Do you still have any debt that you still share together? If there wasn’t any insurance in place, do you have a plan in place to make sure everything would be taken care of? They have some type of pre-existing condition, that may make qualifying for life insurance more difficult. They don’t feel that they need insurance. Or they may still harbor some negative feelings about the break up and aren’t interested in getting life insurance at all! This is why it can be difficult to get these individuals involved in the process of getting insured! After all, depending on the type of life insurance being applied for, getting approved might be considered too much work for these individuals who aren’t interested in getting insured in the first place! The good news is, if you follow some basic guidelines, buying life insurance for someone else is possible. We’ve found that most of the time when we’re asked, “Can I buy life insurance on my ex-husband?” the person is asking the question because their “ex” just won’t seem to get life insurance on their own. Or think it’s too creepy to talk about how the will one day eventually pass away. Or don’t want to spend another penny on their “ex”. Truth is people will make up a million different reasons to avoid buying life insurance but that doesn’t change the fact that one day, everyone including your ex-husband will die. 100% of all Americans will eventually die, of those only 52% will have life insurance in place when they do. How can I buy life insurance on my ex-husband? Let’s just assume that your ex-husband is OK with you getting life insurance on him, but they’re just not going to go out of their way to make it easy. Allow everything to be completed over the phone in just a few minutes. And get rid of the long approval process, even the most stubborn applicant can be persuaded to get insured! What if my ex-husband doesn’t want to pay the premium? This happens all the time, a ex-wife will often pay the premium for their ex-husband just so that they can be sure that the policy remains in effect. Attention: Insurance companies get a little sensitive about this one. After all, insurance carriers don’t really want to find themselves allowing someone to insure another individual without the insured having knowledge of the fact. 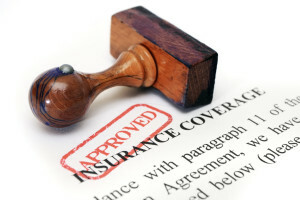 For this reason, some carriers (but not all) may require the initial premium payment to be made by the insured, and then switched to another individual after the first premium is received. This is where working with TermLife2Go can make all the difference in the world because with dozens of different top rated best life insurance companies to choose from, we’re sure to find one with a payment method that will work for even the most difficult of situations. Our promise to you is that if we’re reasonably sure that we can help, we’re not going to waste your time! Our goal at TermLife2Go is to get you and your family the best life insurance rates by age available for you, not just quote you something you’ll never be able to qualify for! my ex is still on my home mtg although our settlement states im responsible for pmts. can i get an insurance policy on him to pay mtg if something happened to him? I have a friend who’s ex-husband consented to her buying a life insurance policy on him. She has an insurable interest-their son, who was an infant at the time she purchased the policy. I am not sure they were ever married, but he claims the child, pays child support and if he fails to, it is garnished from his wages. His son is 11 now. He has decided to revoke his consent to the policy. The mother has always paid the premiums-he has no financial obligation. The child is the beneficiary As far as I can tell, he has no reason for this action. He has married in the last year, but it should in no way affect his new wife or any family they may have together. He is threatening to sue her for insurance fraud. Can he? It would be irresponsible for us to comment on this situation because we don’t know all of the facts and we don’t know anything about the “ownership” of the policy. Our advice would be to have your friend contact the insurance company that issued the policy directly and have an attorney review the details of her divorce. Sorry we could be more helpful. I am interested in purchasing a life insurance policy on my ex-husband. He is 67 years old and we have been divorced since 1992. Currently I receive 22% of his military pension, but if he dies before me, this pension will stop, so I do have an insurable interest. I have asked him if he will cooperate by answering health questions and signing the policy and he has agreed. Please advise about rates and steps required to purchase a policy. It sounds like you won’t have a problem proving that you have an “insurable interest” in this case, we would just recommend that you give us a call so we can do a preliminary interview with you so that we can give you some “rough” numbers on what it might cost. From there you can decide if you want to move forward or not. We would also assume that you would want to be the owner of this policy so we’ll discuss those options as well. Previous Post: Can I Buy Life Insurance for my Significant other? Next Post: Comparing Group Life to Private Life Insurance-What is the Best Choice for you?